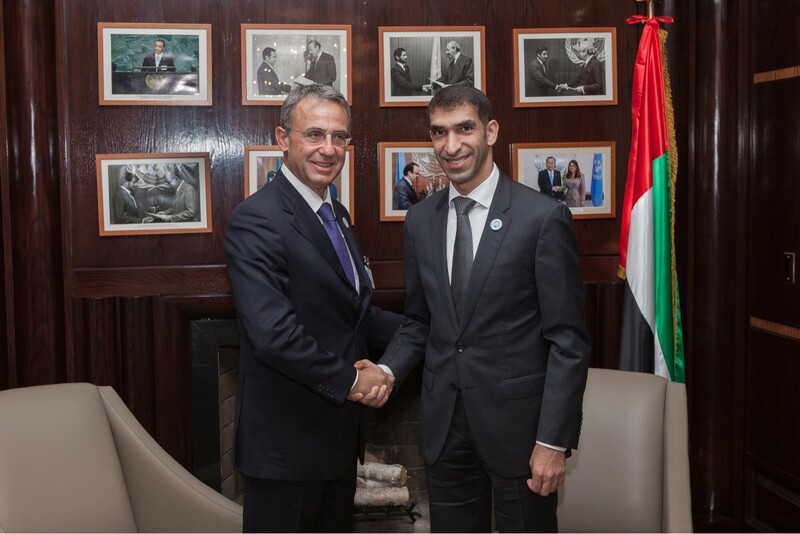 NEW YORK, 24th September, 2018 (WAM) -- On the sidelines of the 73rd Session of the United Nations General Assembly (UNGA), the UAE Ministry of Climate Change and Environment (MOCCAE) and the Ministry for the Environment, Land and Sea of Italy signed a memorandum of understanding (MoU) to enhance cooperation in the area of sustainable development. 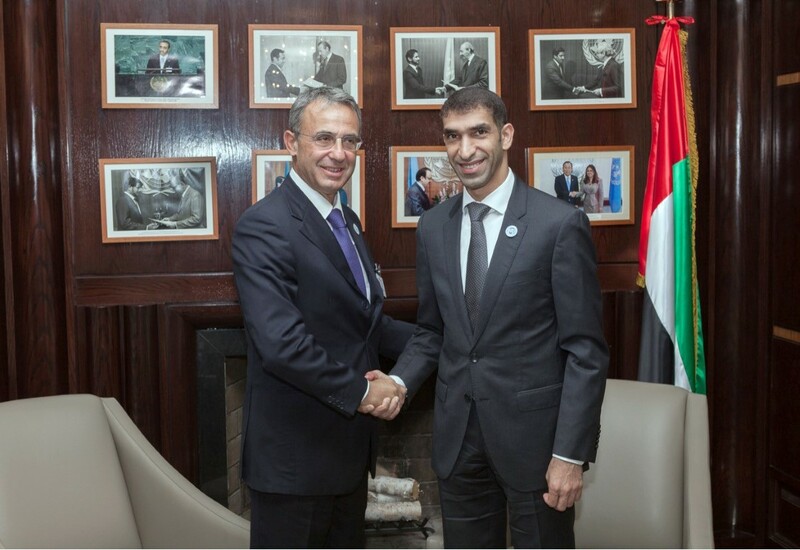 The agreement, inked by Dr. Thani bin Ahmed Al-Zeyoudi, Minister of Climate Change and Environment, and Sergio Costa, Italian Minister for the Environment, Land and Sea, will reinforce synergies between the two countries in the fields of climate action and environmental sustainability. The MoU mandates the UAE and Italy to formulate and implement policies to support economic diversification and sustainable development. In addition, the two countries will identify and leverage new opportunities and tools to achieve sustainability in urban planning and land development, construction, transport, renewable energy, energy efficiency, and resource-efficient and clean production. Other areas of collaboration covered in the agreement include the adoption of practical solutions in sustainable farming, fisheries, food processing, landscaping, biodiversity conservation in hyper-arid environments, tourism, air quality and noise monitoring and control, chemicals management and waste management. The two countries also resolved to encourage the participation of the private sector in climate action through public-private partnerships (PPPs). Speaking on the MoU, Dr Al Zeyoudi said: "The UAE enjoys long-standing cordial relations with Italy in various domains. The agreement builds on these strong ties as we join forces in identifying and implementing climate change mitigation and adaptation measures." He added, "As parties to the United Nations Framework Convention on Climate Change (UNFCCC), the Kyoto Protocol and the Paris Agreement, our two countries realize that collective action has great advantages in the fight against climate change." The Italian minister said, "With this MoU, Italy and the UAE set out on a common path to achieve the shared goal of environmental sustainability. We are keen to engage in joint efforts to transform our current development models from the environmental point of view in order to fulfill the commitments of the Paris Agreement."